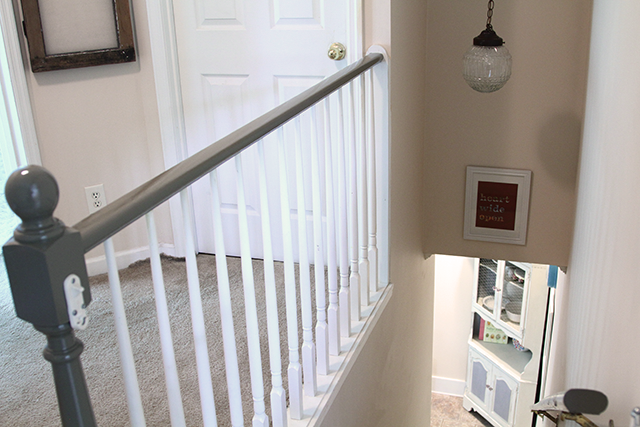 Looking at these before photos literally makes me feel a little ill. 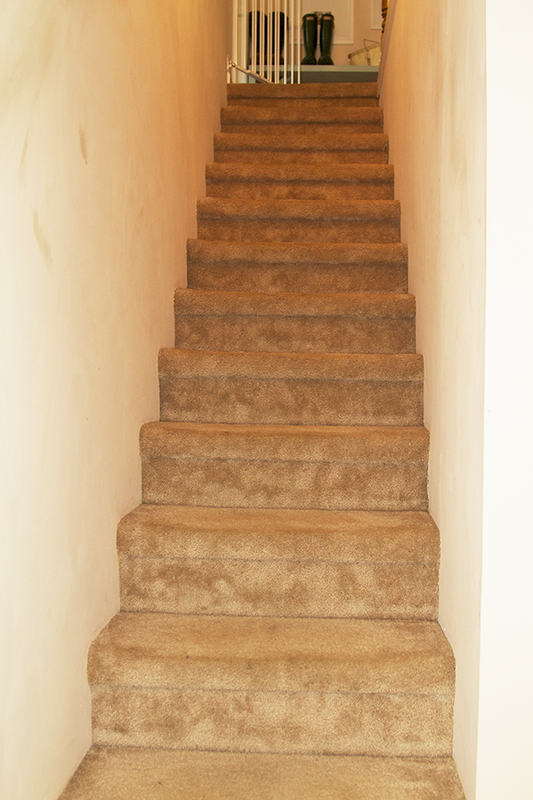 I hated having this dirty old carpet on our stairs. 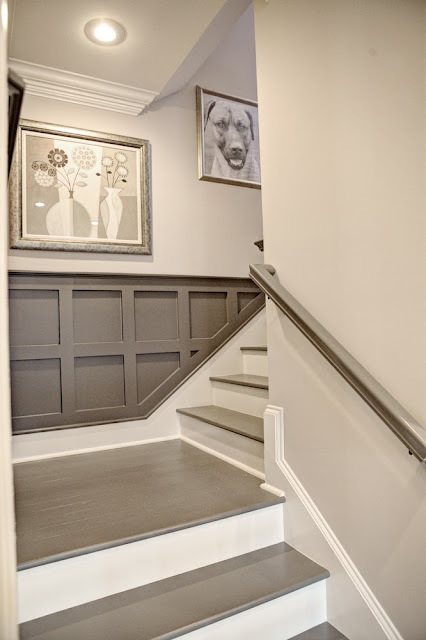 But we definitely didn't have the money to have the stairs professionally redone, so I had to figure out how to get these stairs looking up to snuff on my own. 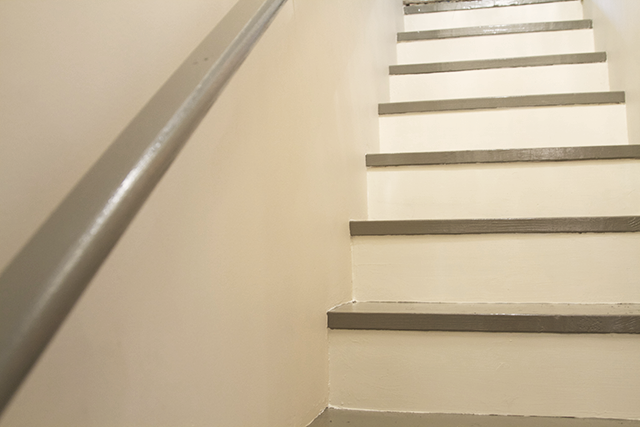 While I've read online that some people have been able to rip the carpet off their stairs and find perfectly paintable/stainable steps underneath, what I found was kind of a nightmare. 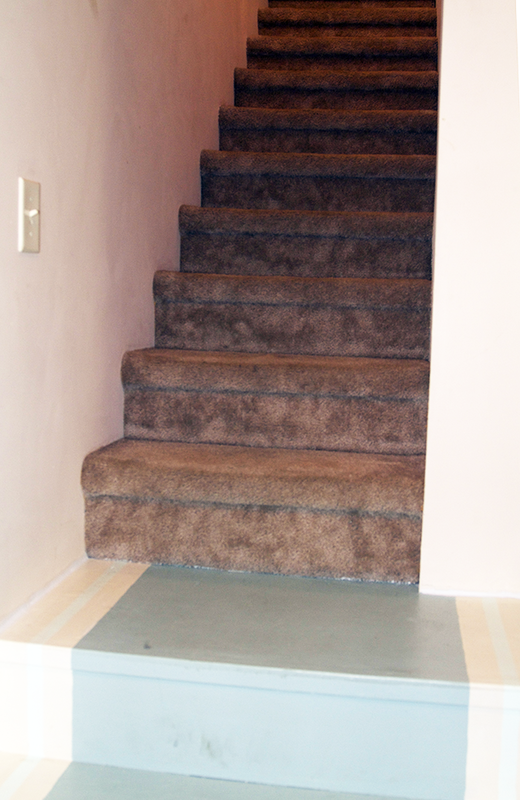 The existing treads had big gaps on either side--too big to caulk or fill with wood putty. 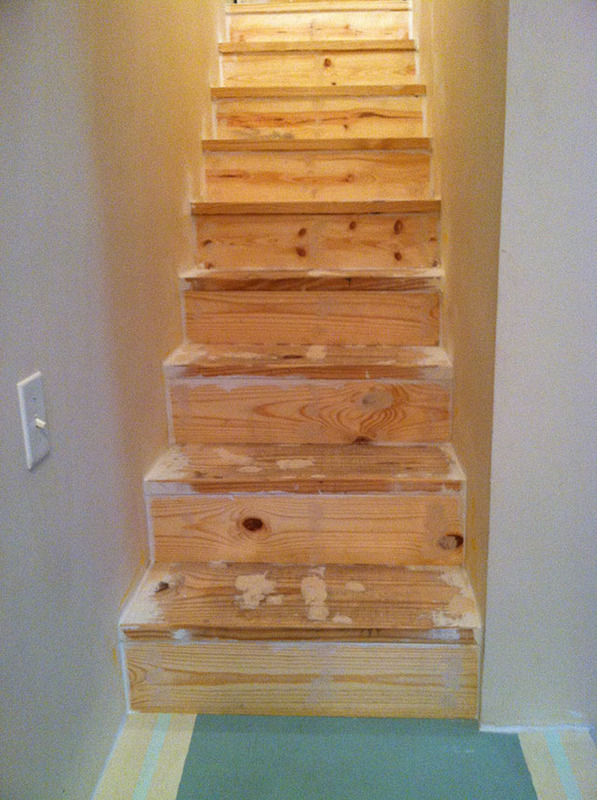 So we ended up putting down new treads on most of the steps, and every step needed a new riser. The wood cost $100. Paint, primer, and assorted materials cost me another $125. So the whole project give or take cost under $250. In the end, I kind of regret not going for it. 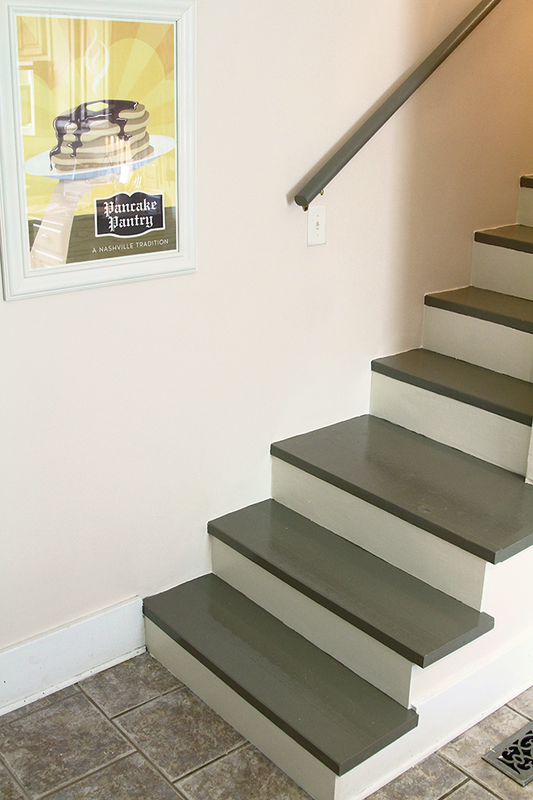 I found Benjamin Moore's "Cromwell Gray," which I love because it's gray/green/brown depending on the light. 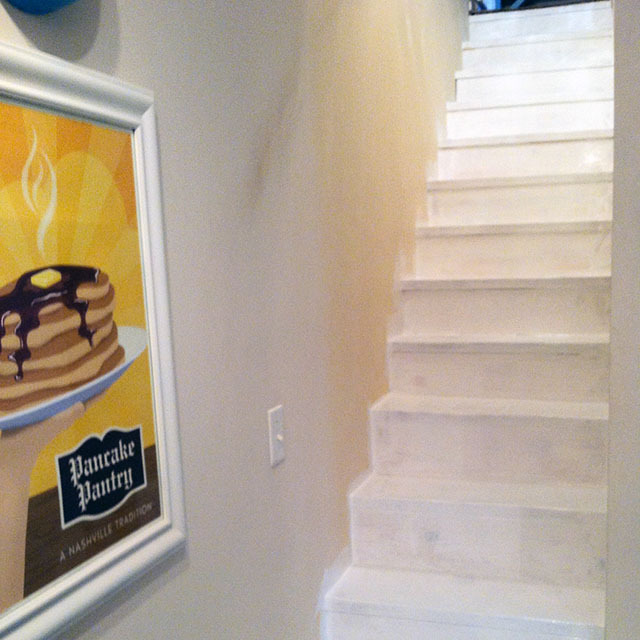 I painted the risers with Sherwin Williams's porch paint in "Antique White." It's what I had on hand from when I painted my porch. The improvement is pretty major, right? Don't look too closely. They're not perfect, but then I knew they wouldn't be. 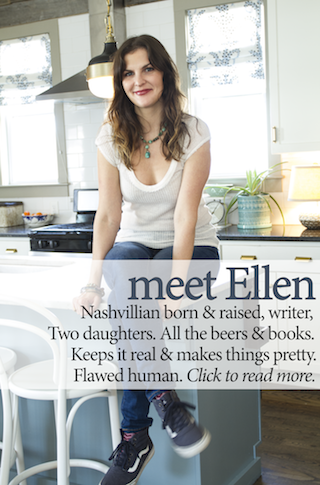 But I am really, really happy with them. 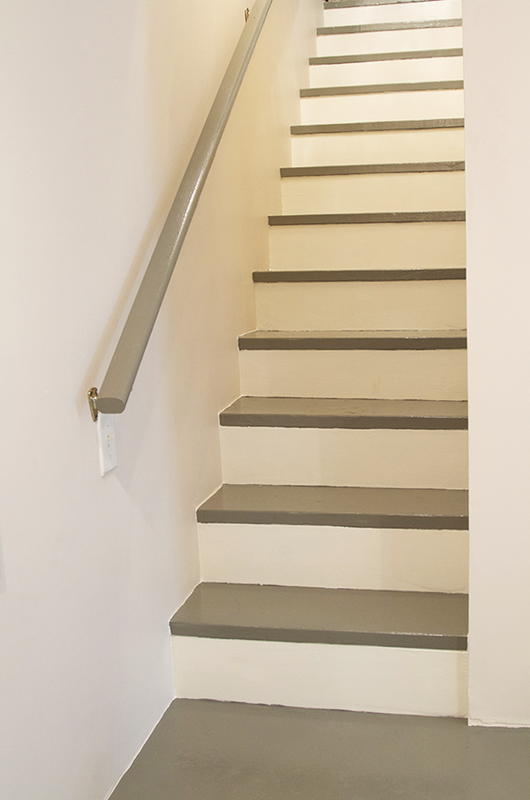 We hauled an old handrail out of our shed and reinstalled it. 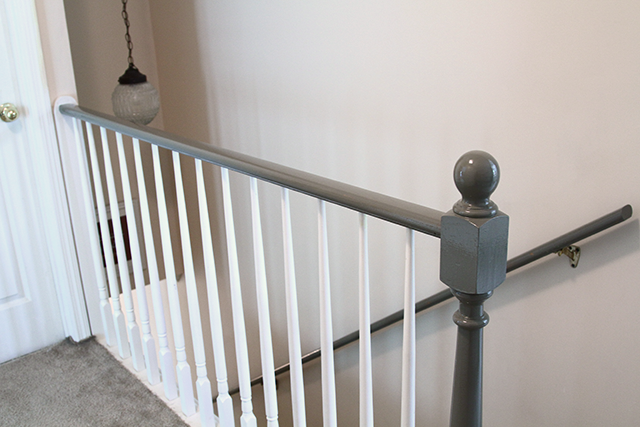 I painted the hand rail and the banister rail "Cromwell Gray," too. Really tied things together, if I do say so myself. 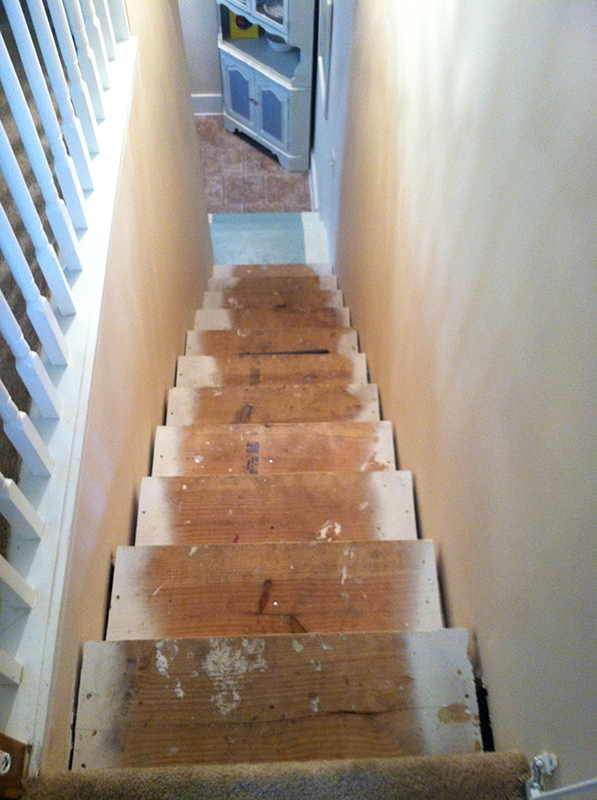 Next up: All the carpet upstairs is getting uprooted and kicked out of my house forever. More adventures ahead. Clearly, I won't rest until my paint brush touches every square inch of our house. They look fabulous, my dear, fabulous!! Fabulous, as usual!! And I LOVE your "Heart Wide Open" pic. Great job! 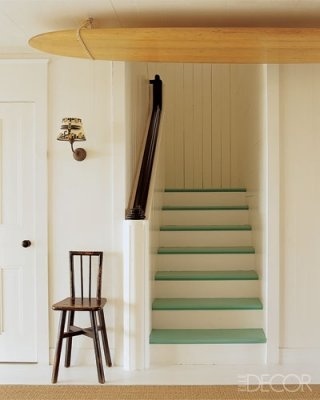 The stairs look wonderful. 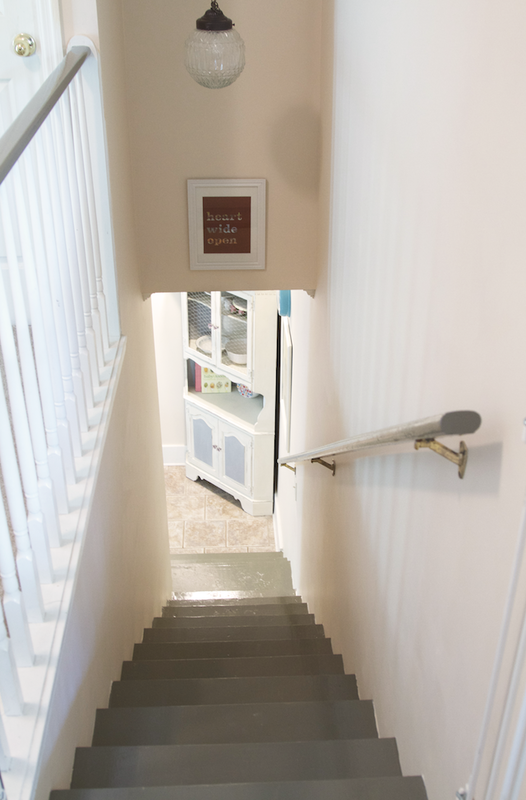 They are anything but http://staircasedesign.xyz/wooden-spiral-staircase-for-sale/ difficult to clean with a vacuum cleaner and spills can be cleaned instantly.